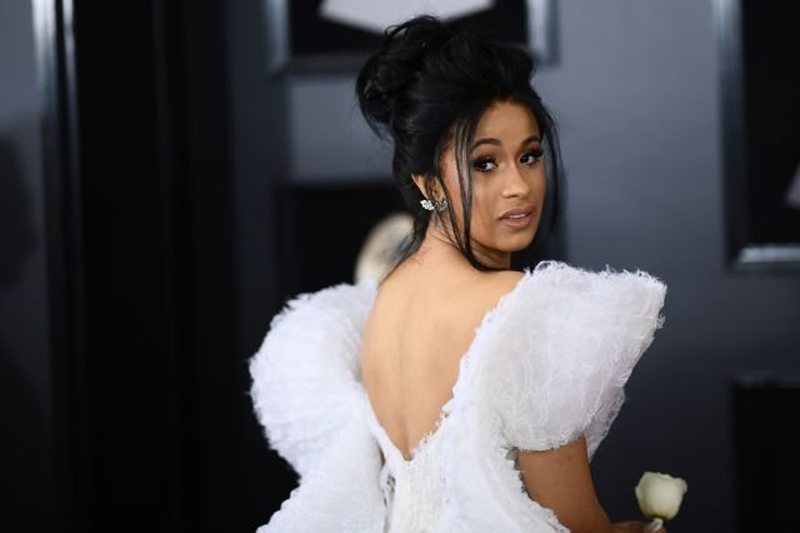 Cardi B is currently riding high after the launch of her debut album earlier this month, but she already has her eye on fashion design. The rapper is teaming up with online retailer Fashion Nova on a collaborative collection, she revealed recently in an interview with Apple Music Beats 1. "They gave me an opportunity to design what I like and what I want to put out," the star told Ebro Darden during their conversation. "I'm going to put out a line with them, a little something-something for the fall. It's going to be crazy because it's what I like." Elaborating on her choice of label, she said: "They've been rocking with me from the beginning," adding: "I want people to look good and I want people to look high-end with a good budget price and that's the perfect opportunity. I'm excited for that." The music star also made a point of mentioning the fast fashion brand on Instagram recently, when she posted a photo of herself on the way to the listening party for her new album "Invasion of Privacy" wearing her favorite denim shorts from the label.